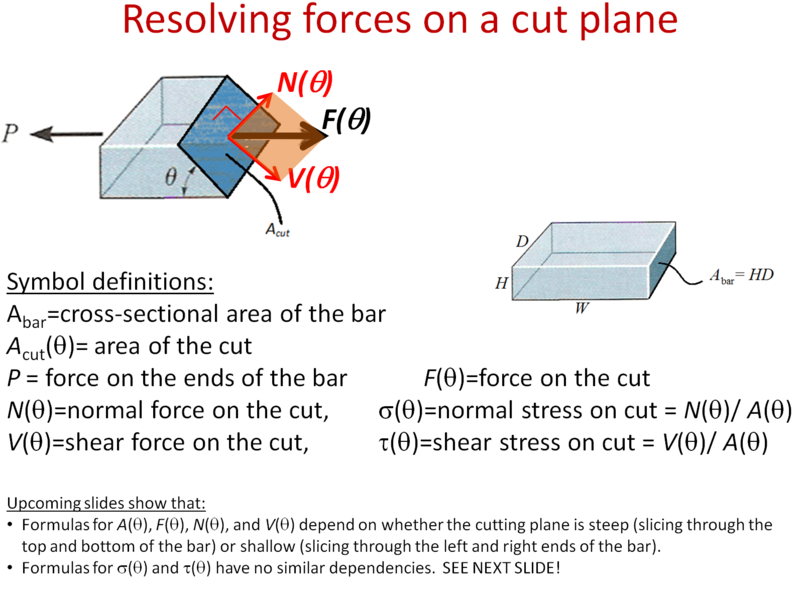 The following shows that the area of the cut (Acut) and the force (F) on the cut change dramatically depending on whether or not the cut is shallow or steep. 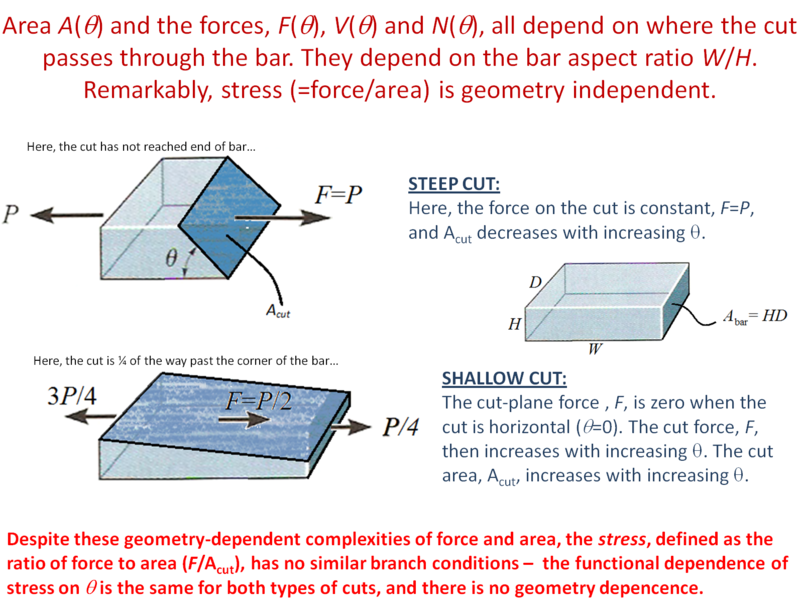 Remarkably, though, their ratio (stress=F/Acut) does not depend on the character of the cut or on the bar geometry. Shown on the right is a parametric plot of the shear component of stress versus the normal component of stress as the cut angle changes. The result is a circle — Mohr’s circle! This entry was posted in General Tutorials and tagged constitutive, continuum mechanics, eye candy, introduction, Mohr's Circle, stress, undergraduate. Bookmark the permalink.